Goshen Community Schools employs a coordinated school health program to help ensure the mental and physical health and wellness of students, staff, and the Goshen community. Goshen Community School’s Health Services staff supports student achievement by implementing a Coordinated School Health Program that promotes student and staff health, safety and wellness. 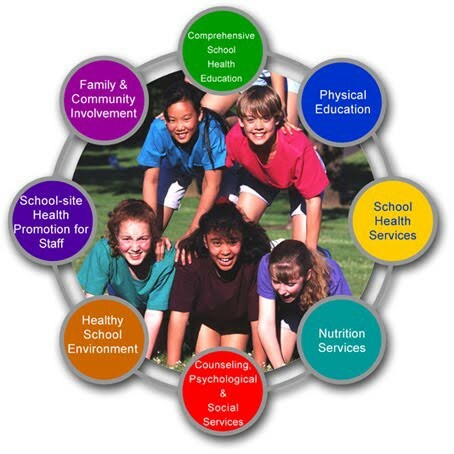 The Coordinated School Health Committee meets every other month to create, implement, monitor and evaluate wellness initiatives through out our schools. Goshen Community School nurses provide access to appropriate health care for students and their families. They are the connecting link for families, health care providers, school staff and community resources. Goshen Community School nurses are guided by our school mission and work to ensure students are healthy and ready to learn. Healthy kids make better students. Better students make healthy communities. The Center for Disease Control (CDC) has released the following information: In the United States, we are currently experiencing a large, multi-state outbreak of measles linked to an amusement park in California. Measles is a highly contagious disease. It can be serious for your young children. Protect your children by making sure they get MMR vaccine according to CDC’s recommended schedule. The large, ongoing measles outbreak in the United States likely started with a traveler who got measles overseas and then visited the amusement park while he or she was contagious, spreading the disease to others. Measles is highly contagious and spreads through the air when an infected person coughs or sneezes. In fact, if one person has it, 9 out of 10 of the people around him or her will also become infected if they are not immune (through measles vaccination or having had measles before). If you have other questions, please call your school nurse. El Centro para el Control de Enfermedades (CDC) emitió el siguiente informe: En los Estados Unidos, actualmente estamos experimentando un gran brote multiestatal de sarampión vinculado a un parque de diversiones en California. El sarampión es una enfermedad altamente contagiosa. Puede ser grave para sus hijos pequeños. Proteja a sus hijos asegurándose de que reciban la vacuna MMR según el calendario recomendado por la CDC. El brote de sarampión en curso en los Estados Unidos probablemente se inició con un viajero que fue contagiado de sarampión en el extranjero y luego visitó el parque de diversiones, mientras que era contagioso, propagando la enfermedad a otras personas. El sarampión es altamente contagioso y se propaga a través del aire cuando una persona infectada tose o estornuda. De hecho, si una persona tiene la enfermedad, 9 de cada 10 de las personas que lo rodean son contagiadas si no son inmunes (a través de la vacunación contra el sarampión o por haber tenido sarampión antes). En caso de tener preguntas, por favor llame a la enfermera de la escuela.